Cardi B has been sharing more updates on her growing daughter Kulture and what it’s like to raise a little queen while she’s busy still building her empire. “It’s very hard. It’s like the hardest challenge ever. I don’t even like talking about it. I really don’t like talking about it because it’s, like, very hard,” the “Money” rapper explained when describing her fear Kulture forgetting her. At the top the year, Rihanna filed a lawsuit against her father alleging that he was using her name and brand to leverage his own business. As the report goes, Rihanna claimed her father was pulling in millions from his talent developmental company called Fenty Entertainment. Ronald Fenty and his business partner were accused pretending to be Rihanna’s rep and even booked her for shows that she gave no authorization for. Ronald has now responded to the lawsuit, denying the allegations and stating how Rihanna has not suffered any damages from him trying to run his business, The Blast reports. Ronald believes he has every right to use his last name for his business and states how he doesn’t need his daughter’s permission. “Defendants deny that their use “Fenty” requires authorization from Plaintiffs,” the document reads. Kevin Hunter is already on the hot-seat with the end his 20-year marriage to Wendy Williams following cheating claims. The talk show host recently confirmed the divorce during her show by emphasizing she will be making life changes…alone. Moreover, divorce papers were already served to Hunter with a pretty bow. Though, Wendy Williams is not the only one going after Kevin Hunter’s neck. Recently, musician Falstar (also known as Aveon Williams) accused the former producer sexually abusing him while under his management. According to the singer-songwriter, Kevin Hunter took interests in his talents and signed him, though quickly their relationship became sexually abusive. On the podcast show unWineWithTashaK, Falstar claimed “it wasn’t a sexual relationship. It was much more an abusement relationship” and further discussed the legal actions taken against Hunter, although the opposing party left them ignored. We are now waiting on Falstar’s response. The defending Stanley Cup Champions, the Washington Capitals, are currently in their first round matchup against the Carolina Hurricanes. Heading into last night’s game, the Capitals were up 2-0 in the series, although that all changed when they lost by a score 5-0 in game three. The game itself was the last thing on people’s minds though as Capitals star Alexander Ovechkin, and Hurricanes rookie Andrei Svechnikov got into a huge fight in the first period. Both players were getting chippy when they both decided to drop the gloves. Ovechkin made quick work Svechnikov, landing three clean punches right in his face. Svechnikov fell to the ice and had a hard time getting up all while Ovi was fine. It was a scary sight for the 19-year-old star whose teammates rallied behind him as he never came back to the game. “We all battled together. All 20 guys battled hard. … Svechnikov is] our brother, and we stand up for each other. We knew we needed to get this win, not just for us, but for him,” said Hurricanes rookie Warren Foegele, according to CBC. Nike’s annual Elite Youth Basketball League, aka the Nike EYBL, will kick f later this month with a trio events across the country starting in Atlanta, Georgia (April 26-28), Indianapolis, Indiana (May 10-12) and Dallas, Texas (May 24-26). 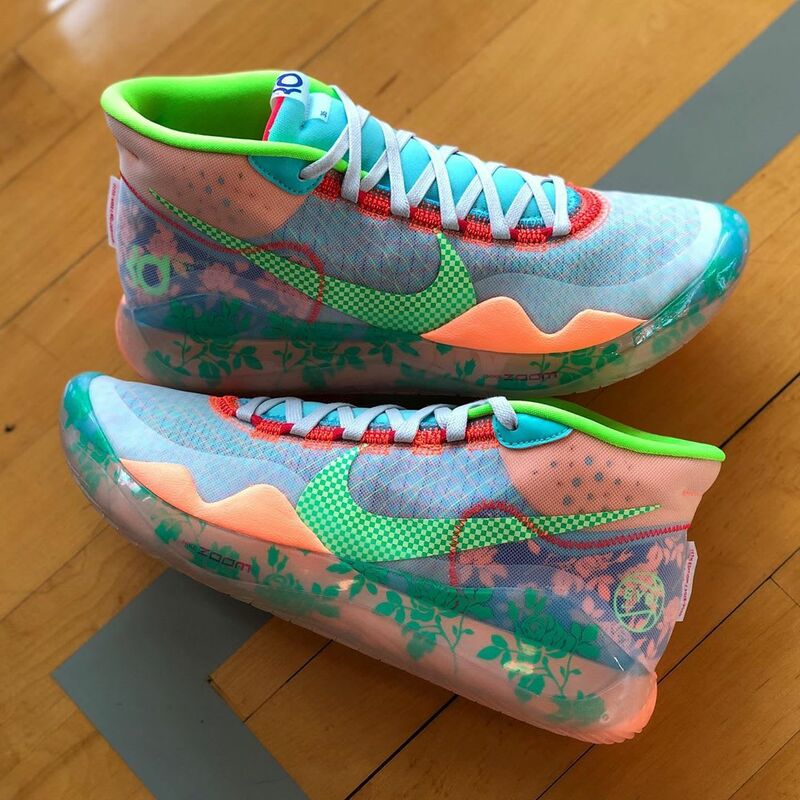 In honor the event, Nike Basketball will be providing the players with special edition colorways some the brand’s most popular signature sneakers – including Kevin Durant‘s Nike KD 12. 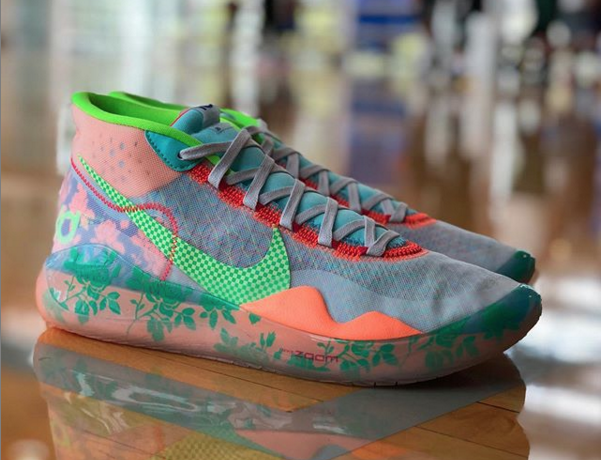 Like many the EYBL kicks old, the newly unveiled Nike KD 12 features a vibrant colorway consisting hits blue, green, orange and red with a leafy, floral pattern that wraps around the translucent TPU midsole. In addition to the KD 12, Nike Basketball will reportedly release an “EYBL” colorway the Kyrie 5 as well. If any the Nike EYBL sneakers do release to the public, expect them to be available in June or July in limited quantities. 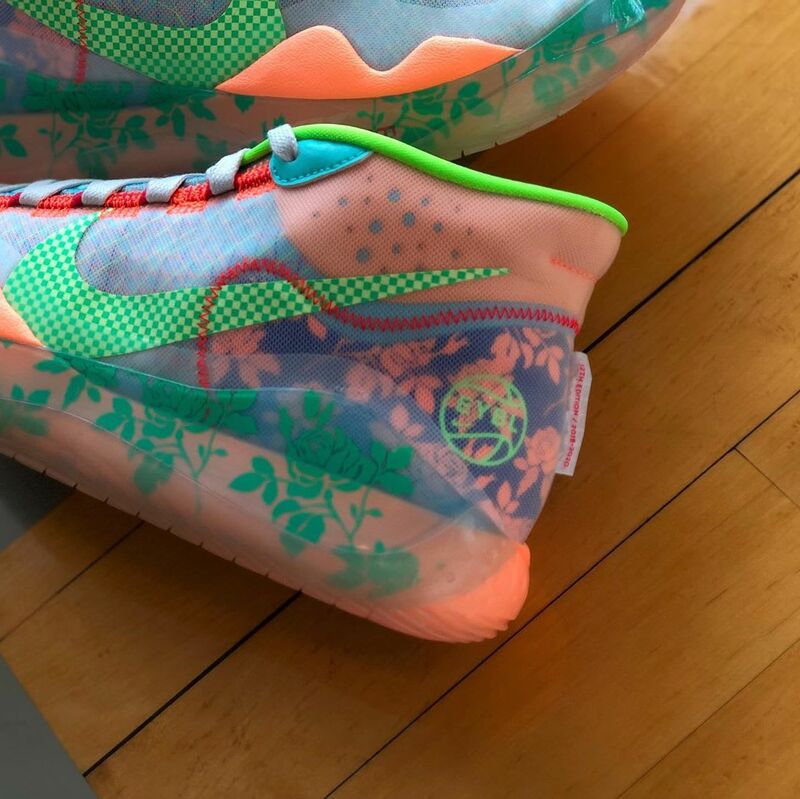 Click here for an early look at the “EYBL” Kyrie 5s, and scroll down for additional shots the colorful KD 12s. Shannade Clermont was sentenced to one year in prison after she stole a credit card from a dead man who hired her as a prostitute and racked up quite a bill with the deceased man’s money. The Yeezy model apparently spent close to $20,000 on a variety merchandise and attempted to purchase more before she was caught. Shannade is now expected to check herself into prison on June 4th and The Blast is now reporting that she won’t be f the hook even after her one-year sentence. According to the publication, Shannade will be on a three-year supervision after her release. The model will have to participate in an outpatient treatment program that will involve random drug tests and a property search at any time without a warrant. Even more, Shannade will also have to participate in a mental health program and take prescribed medications. Once she’s free she will have to pay $4,696 in restitution and is banned from opening any line credit. While the latter may seem excessive, Shannade was initially facing up to 20-years behind bars so her sentence was reduced drastically. The phenomenon the cult movie – a project that finds a devoted audience and enjoys a “second life” in the pop culture conversation, usually after a disappointing theatrical run – has benefited greatly from the rise streaming giants like Netflix. With at-home film and TV consumption at an all-time high, a flop at the box fice isn’t the kiss death it used to be in the movie business. In fact, there’s an argument to be made that, by introducing some these films to new generations fans around the world, Netflix is doing its part to keep some these cinematic gems alive, sometimes against all odds. That said, with thousands movies gracing Netflix’s US catalog alone, I’m here to cut through that clutter and shine the spotlight on 10 legendary cult films that should be required viewing for any fan entertaining storytelling. Usually weird and lovably f-beat, these movies are among the best that the ubiquitous streaming service has to fer. Seeing as this is a hip-hop website, let’s start with a film that has a direct connection to the genre. It was a modest hit in theaters, grossing over $28 million worldwide on a $3.5 million budget and cemented Ice Cube as a man who, after a striking debut with Boyz N The Hood, proved he wasn’t just a one-hit acting wonder, moving deftly from gritty drama to broad comedy. 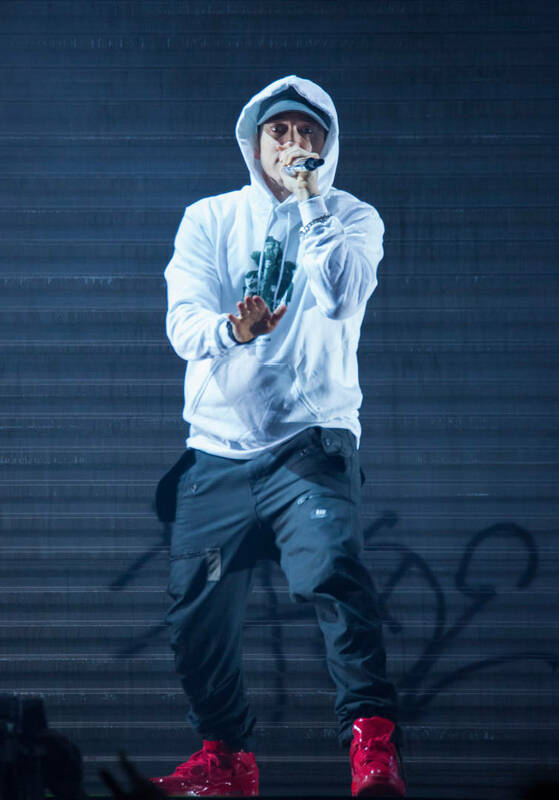 Co-written by Cube and directed by F. Gary Gray, the man who would go on the helm the N.W.A. biopic, Straight Outta Compton, Friday is one the most memorable comedies the 90’s. The movie credited with introducing Hollywood to talented newcomers like Vince Vaughn, Jon Favreau, and director Doug Liman, Swingers is a surprisingly complex movie. It digs deep beneath the veneer its guy-tries-to-get-over-girl premise and mines the male psyche for raw and honest insight on what it means to be lonely and disaffected, all while taking your shot at being a star in the La La Land. Funny and poignant, Swingers still holds up more than 20 years later. Director Edgar Wright may have cracked the code when it comes to delivering quirky, unique movies perfectly suited to become cult classics. Baby Driver and Shaun the Dead are also great candidates for this list, but none his films have reached quite the same cult status as Scott Pilgrim. The script oozes relatable, awkward teenage angst and pits the titular guitarist against his new crush’s 7 ex-lovers, all whom he must defeat in spectacularly over-the-top fashion. A loose, stylistic crime drama that takes a sharp turn and becomes the good kind campy horror movie, From Dusk Till Dawn is one the lesser-known delicacies 90’s cinema. Featuring a charismatic George Clooney and Quentin Tarantino (!) in the lead roles, it’s a very strange movie – one that seems tailor-made for a Netflix remake (don’t hate me for saying that) down the line. It also captures a pre-Spy Kids Robert Rodriguez at his genre film best. Worth a look for fans the gleefully insane on film. Imagine this: You’re in a punk band that takes a gig playing a bar that you later discover is populated with aggressive neo-Nazi characters. No biggie, right? Well, what if you witnessed a murder in that same bar and then must fight for your life to survive their pursuit? Such is the premise Green Room, one the criminally underappreciated horror movies the decade that doesn’t rely on blood and guts or gaudy special effects to keep you on the edge your seat. Look for Starfleet veteran Sir Patrick Stewart to give one the more chilling on-screen performance you’ll see. Speaking horror standouts in the cult wing cinema history, there’s Final Destination. One splatter subgenre’s most successful entries, it has everything you want from a teen slasher flick: hot teen/twentysomething actors, creative kills, an intriguing premise and, let’s face it, more than a little cheese. The impressive statistics lie in its box-fice appeal; Destination grossed over $112 million worldwide on just a $23 million budget, spawning a host imitators and a host meh-to-crappy sequels. Alex Garland is another director who seems destined to have his work grace tons cult classic lists for decades to come. The 28 Days Later writer has segued into the kind cerebral cinema that doesn’t have mass appeal but the audience it does build brings a deep appreciation the material to the table. Case in point would be Ex Machina, a futuristic thriller that is part robot love story, part AI social commentary and part scenes Oscar Isaac running down hallways with a giant beard. All three are world-class cinematic ingredients and, together, they make up one tasty serving streaming content. Here’s how you know your debut film has stood the test time: More than 30 years after it first hit theaters in New York on limited release, Netflix chooses to give it the remake treatment in an original series. Indeed, Spike Lee’s debut feature, which he made for the ridiculously low sum $175,000, is a classic, dealing with the complicated issue intersecting male and female sexuality and what it means for relationships that work and those that fail. Lee also gives us a taste Mars, a recurring character that would show up in his other movies, as well as Michael Jordan shoe commercials. Finally, we come to Harmony Korine’s Spring Breakers, a movie that works almost entirely because, based on the first half its running, it really shouldn’t. However, with a cast former Disney Channel good girls surrounding a cornrows-and-grills-wearing James Franco, this drug-fueled odyssey fers up an unpredictable and darkly comedic take on every college student parent’s nightmare. 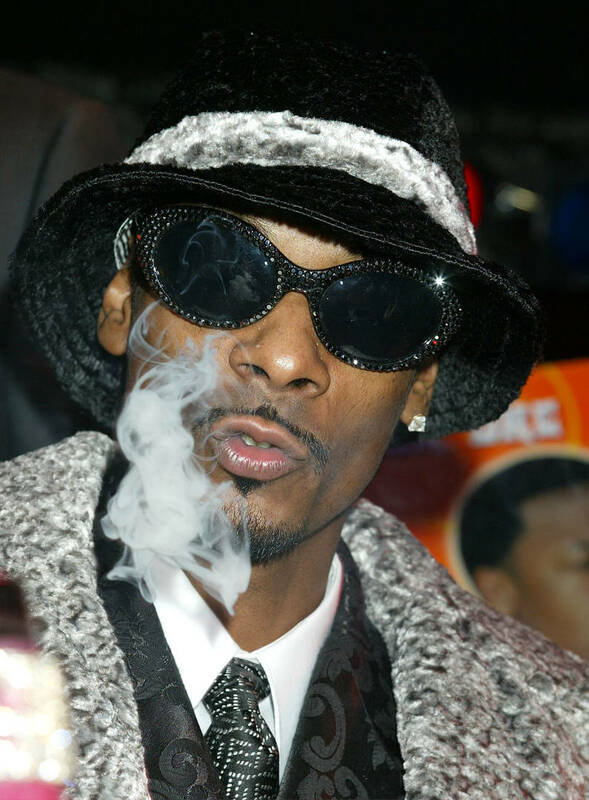 The atmosphere the film is enhanced by the fact that, according to James Franco, real gangsters were present on several shooting locations, something that freaked out some the actors.